Yesterday, the U.S. Coast Guard, with U.S. Environmental Protection Agency agreement, issued a directive to BP on how the company should manage recovered oil, contaminated materials and liquid and solid wastes recovered in cleanup operations from the BP oil spill. The U.S. Coast Guard, along with EPA, and in consultation with the states, will hold BP accountable for the implementation of the approved waste management plans and ensure that the directives are followed in the Gulf Coast states. While the states of Louisiana, Alabama, Mississippi and Florida are overseeing BP's waste management activities and conducting inspections, this action today is meant to compliment their activities by providing further oversight and imposing more specific requirements. Under the directive EPA, in addition to sampling already being done by BP, will begin sampling the waste to help verify that the waste is being properly managed. 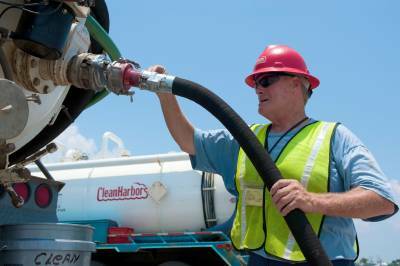 Waste sampling to date has been done in compliance with EPA and state regulatory requirements. Provides guidelines for community engagement activities and sets transparency requirements on information regarding the proper management of liquid and solid wastes. Requires BP to give EPA and state agencies access to facilities or any location where waste is temporarily or permanently stored. Access includes allowing the agencies to perform any activities necessary, such as assessments, sampling or inspections. Requires BP to comply with all applicable federal, state and local laws and regulations and to ensure that all facilities where waste is located or placed have obtained all permits and approvals necessary under such laws and regulations. Finally, the directive requires BP to submit to EPA and the Coast Guard specific plans, waste reports and tracking systems for liquid and solid waste. In addition to the directive, the Coast Guard, with the agreement of EPA and in consultation with the states, developed waste management plans outlining how recovered oil and waste generated as a result of the BP oil spill will be managed. EPA has posted to its Web site the latest versions of these Waste Management Plans for Alabama, Mississippi, Florida and Louisiana that will be implemented under the directive. For more information on the waste management plans, visit EPA's website at //epa.gov/bpspill/waste.html.